Art City Donuts | Gourmet Donuts. Hot, Fresh, Mini. Gourmet Donuts. Hot, Fresh, Mini. Art City Donuts came to be in January of 2014 in the quaint little town of Springville, Utah (also known as Art City). We’re doing what we do best…serving up Hot, Fresh, Mini donuts topped with our homemade original icings. On Mondays through Saturdays, you can find us serving out of one of our bright yellow trailers throughout Utah and Salt Lake Counties. We also cater Weddings, Private Events, Corporate Parties, Birthdays, and so much more! We’d love to be at your next event, so contact us today for more details. 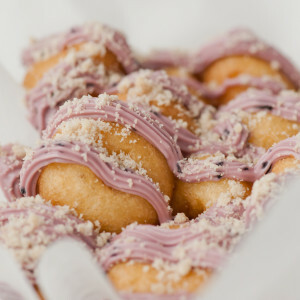 Read about our scrumptious mini donuts…then come try them! 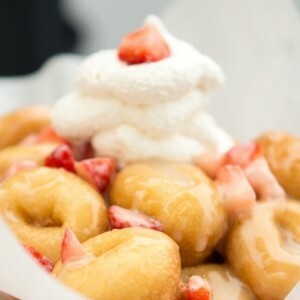 Vanilla cake donut drizzled in Glaze and topped with fresh strawberries and a Fresh Whipped Cream. 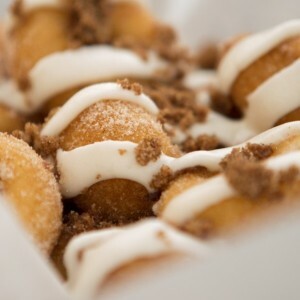 Vanilla cake donuts shaken in Cinnamon and Sugar, drizzled with a cream cheese icing and topped with a cinnamon crumble. 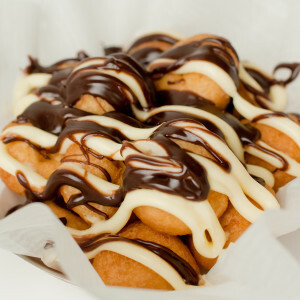 Vanilla cake donuts drizzled with a chocolate icing and a Bavarian cream. 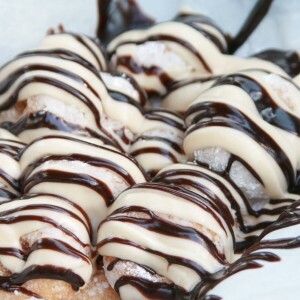 Vanilla Cake donuts drizzled with a coconut icing then topped with a coconut crunch, fresh whipped cream, and a chocolate drizzle. 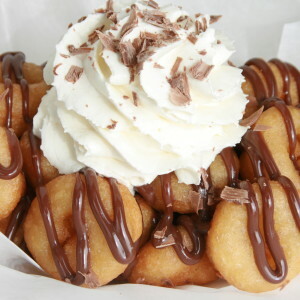 Vanilla cake donuts drizzled in a chocolate Bavarian Cream topped with a fresh whipped cream and chocolate shavings. 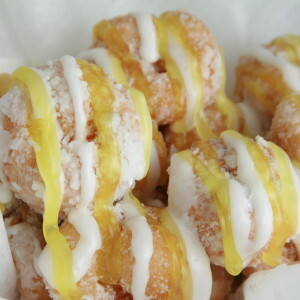 Vanilla cake donuts shaken in powdered sugar and drizzled with a cream cheese icing and lemon glaze. 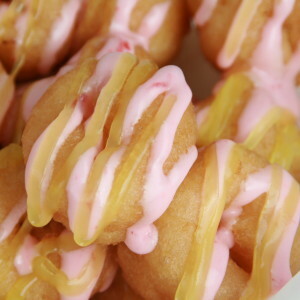 Vanilla cake donuts drizzled with a fresh raspberry icing and lemon glaze. 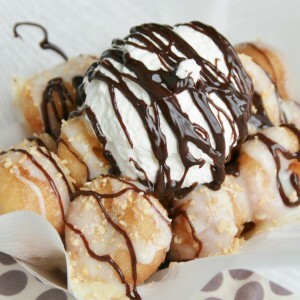 Vanilla cake donuts shaken in powdered sugar and drizzled with a chocolate and peanut butter icing. 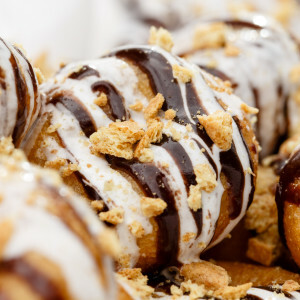 Vanilla cake donuts drizzled with a chocolate and marshmallow icing and topped with a graham cracker crumb and mini marshmallows. Vanilla cake donuts drizzled with a blueberry cream cheese icing and topped with a buttery streusel. Check out our current reviews, and feel free to add your own! Do you have any questions or feedback? If so, then please use the form below to contact us.